The Fire Tiger Tooth Ventilator is a multipurpose, carbide toothed blade designed for roof breaching for firefighters and rescue applications. 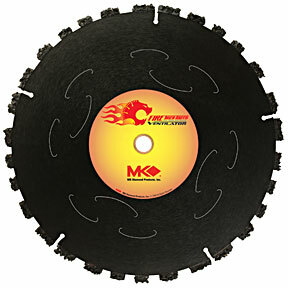 It will cut asphalt shingles, tar and composite roofs and fiberglass/resins. Silent steel core provides noise reduction/suppression and heat dissipation.